62976 RA6497_1.jpg 500X638\RA6497_1.jpg 43127 RA6497_2.jpg 500X638\RA6497_2.jpg 43129 RA6497_3.jpg 500X638\RA6497_3.jpg Send A Hint! Product Description: less text Wish that kitchen Star Wars trouper a Merry Christmas with this apron which features a cute 'I am your Father Christmas' design. It's the perfect gift for anyone who loves cooking up a storm! *Available in denim, grey and white. 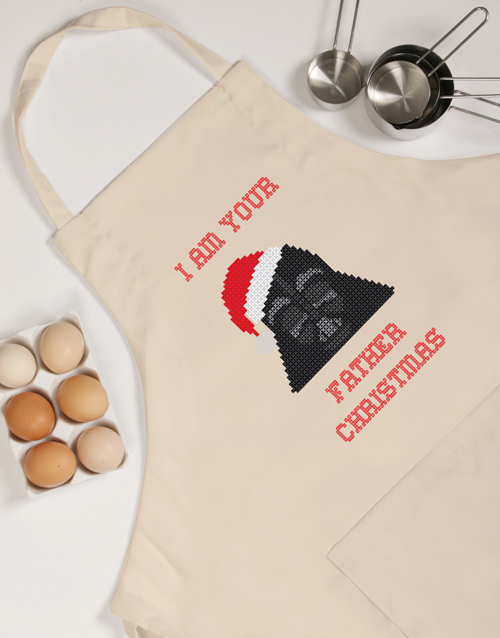 Get this Star Wars Father Christmas Apron delivered with NetFlorist.